Daryl from Discovery Home Inspections came to our sales meeting this week to educate us about the issue of mould in homes. Mold has become a hot-button issue in the past few years, with lots of misinformation floating around. 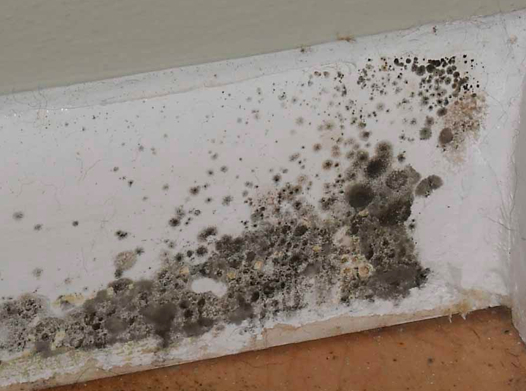 It is helpful to know that most molds found in our homes are harmless and easy to get rid of. Our environment is full of mold spores. They are a part of our natural world and should not be a source of alarm or fear. Apparently 85% of household moulds are caused by “life-style issues” and can be fixed by better ventilation or more heat. This is especially true of the mould found on many interior windows. Most molds are from vapour and condensation – not water infusion. Black mould found in many attics is not harmful if the source is dealt with. Mainly this means better ventilation. It will not spread to the house because it is carried upward by the home’s heat. White mould destroys wood. It can be easily dealt with by using an encapsulating spray. This creates a barrier between the mould and the air it needs to grow. Mould around the tiles in a shower are most often in the old caulking. This is simple to scrape out and replace with new chaulking. Most moulds can be removed by a good scrub with warm soapy water. It is not good to use bleach. It is no more effect in removing the mold than the soapy water and the fumes are not good for you. When there is water damage, remediation is a simple matter of cutting away and replacing the effected material and, of course, fixing the source of the water.